A Leeds bar that was the scene of a mass brawl can stay open if patrons provide door staff with their passports or driving licences. 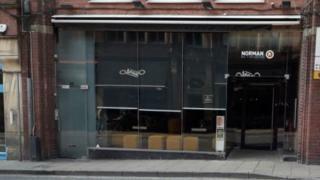 Norman bar in Call Lane was forced to close by the city council following the disturbance on 24 March. A council meeting decided not to revoke its licence subject to extra safety conditions. These include the use of an ID scanner, plastic glasses and body-cams for extra door staff at the premises. PC Kath Arkle, told the meeting: "There is a lot of CCTV footage (from the incident) and this is still being examined and further arrests are expected. "The ID scanner means anybody who goes into those premises has to present a passport or driving licence. We then have a name and a time." The proposal felt "necessary and proportionate", she said. She added there would also be a minimum requirement for four door staff, reported the Local Democracy Reporting Scheme. Paddy Whur, on behalf of the bar, said: "I don't have any issues with what is being put forward. "We have worked backwards and forwards to get conditions that both sides will feel are worthy of being put forward." He said the two groups who had ended up fighting last month had caused trouble earlier on in the night at another venue. The ID and body cam systems would comply with data protection legislation, he added. The club can reopen as soon as the measures are in place, the meeting was told.